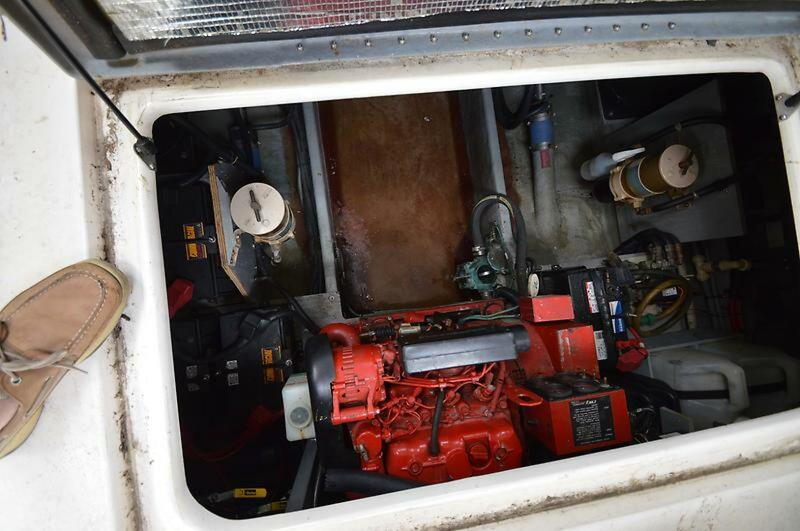 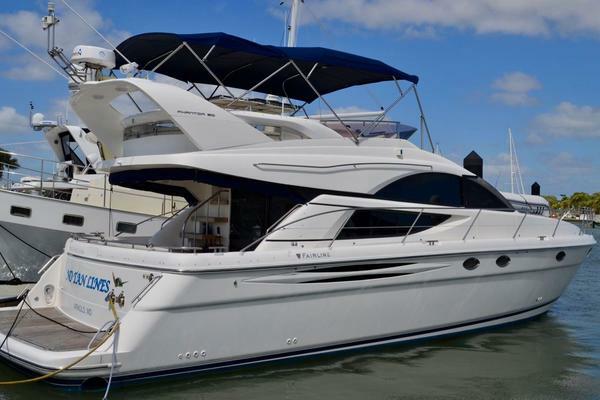 The "ALLONS-Y" offers the desirable 3 stateroom, 2 head layout and is powered by reliable Caterpillar 3116 TA 300 hp diesel engines. 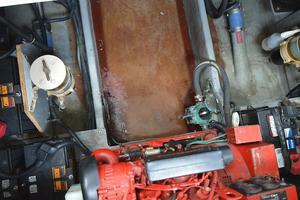 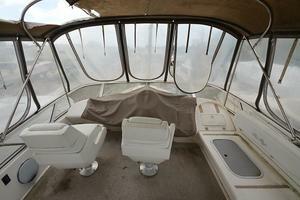 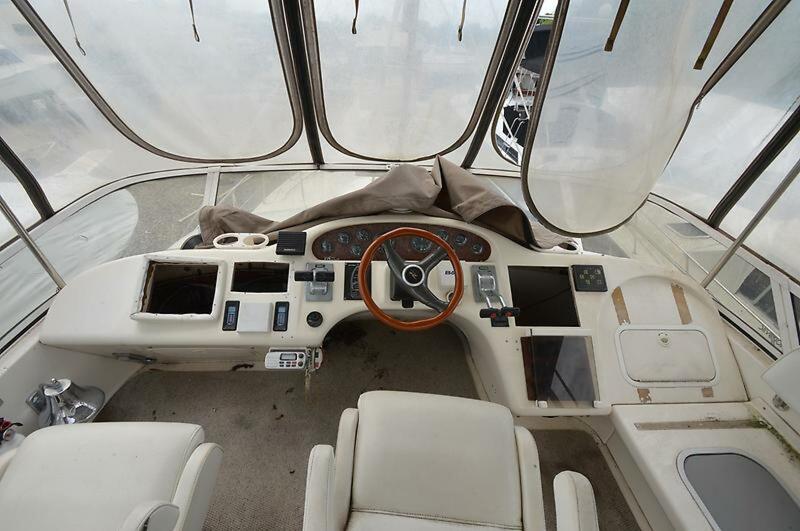 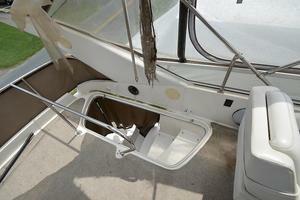 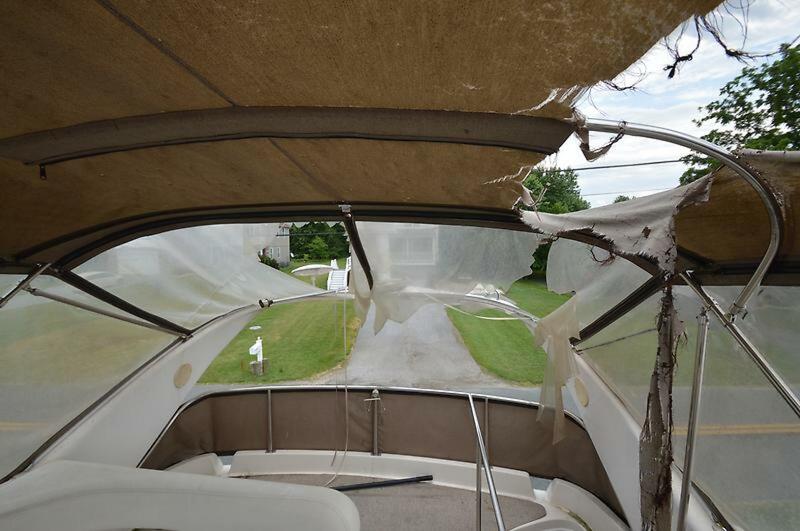 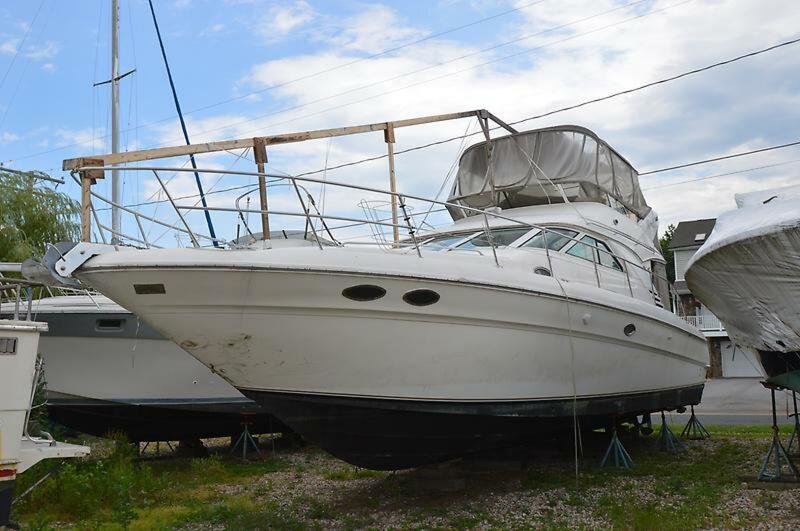 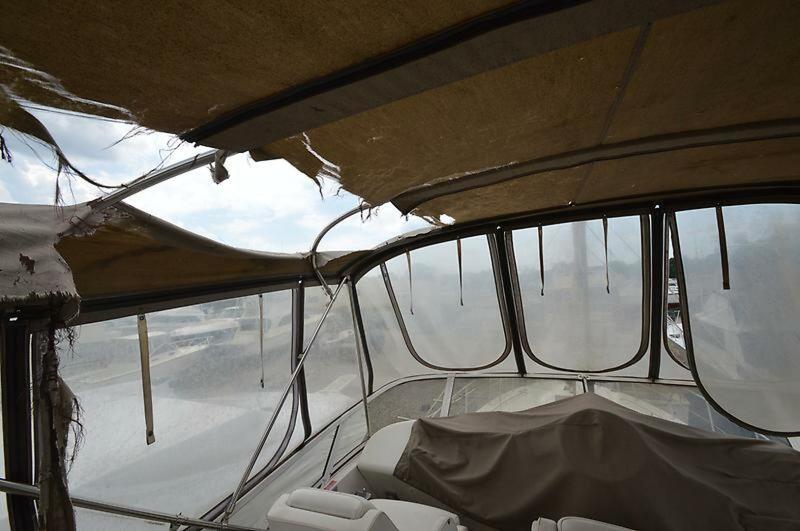 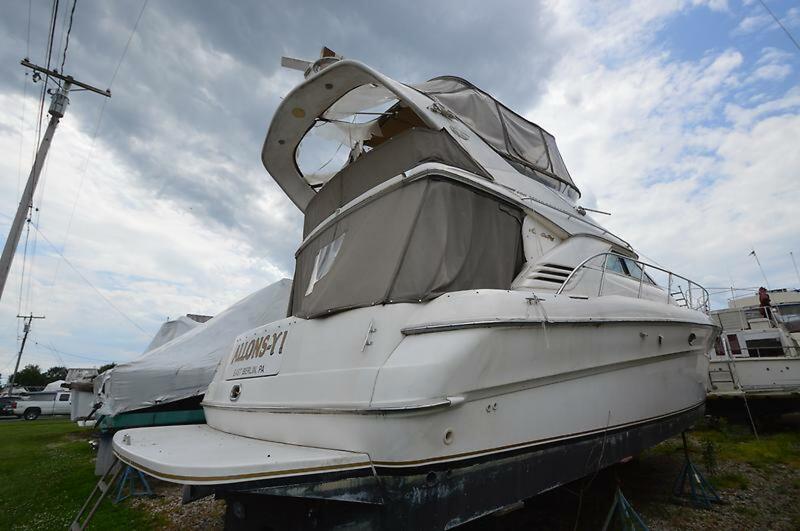 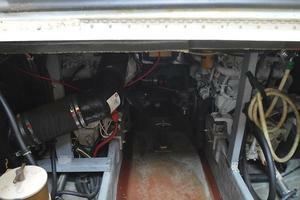 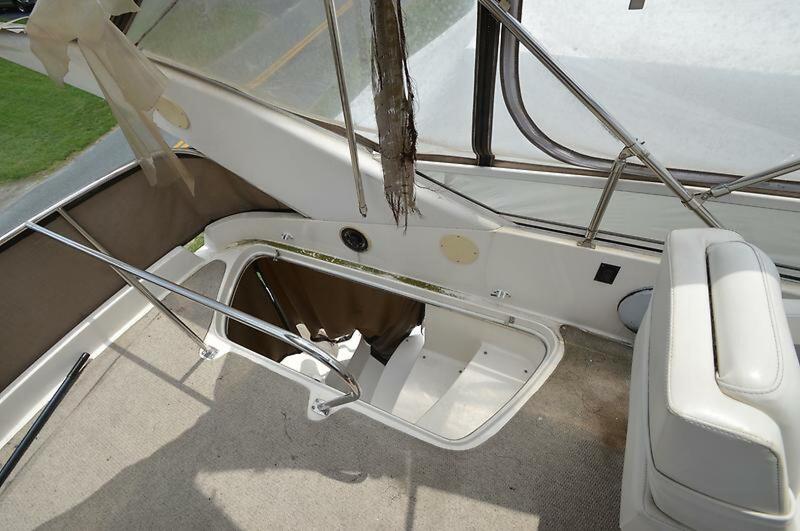 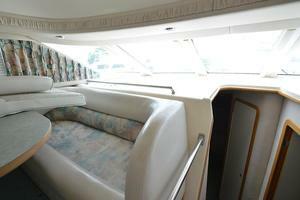 She is loaded with equipment and is priced for immediate sale. Easy to see in Edwards Marina,Middle River Maryland. 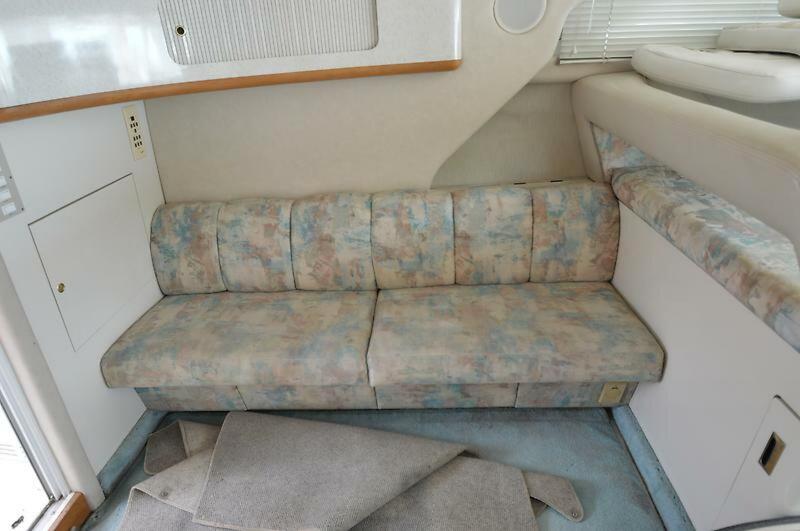 Owner seeking offers!!! 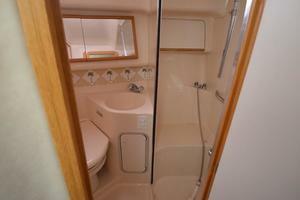 Call Listing Broker for complete details. Galley up three stateroom, two head layout. 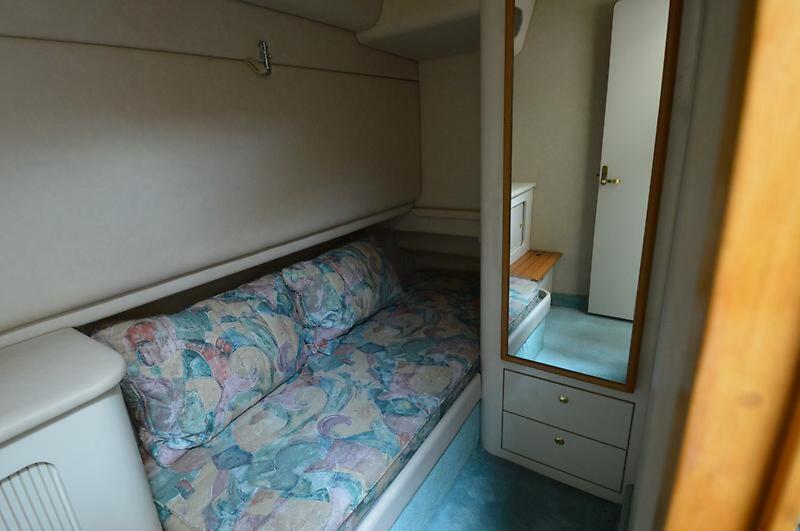 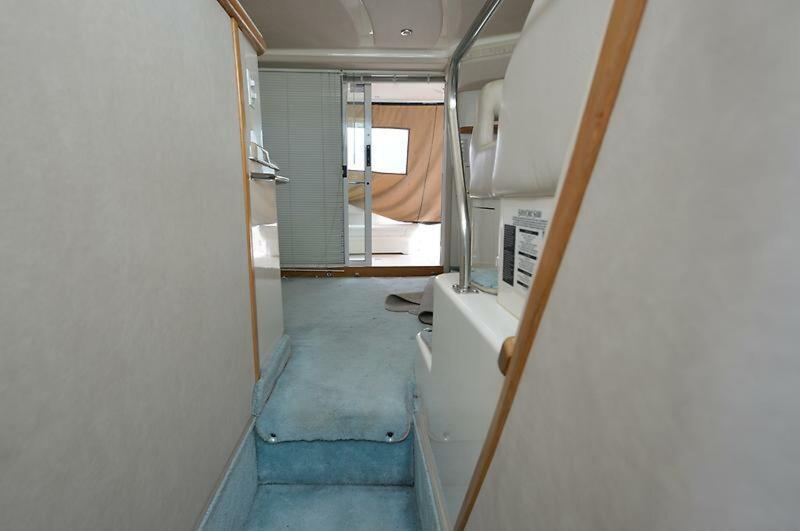 Master is forward with Island Queen berth with inner-spring mattress, hanging lockers, drawers, lighting, overhead hatch with screen, hard-door privacy, TV/VCR, ensuite head with stall shower, mirror, sink and storage. 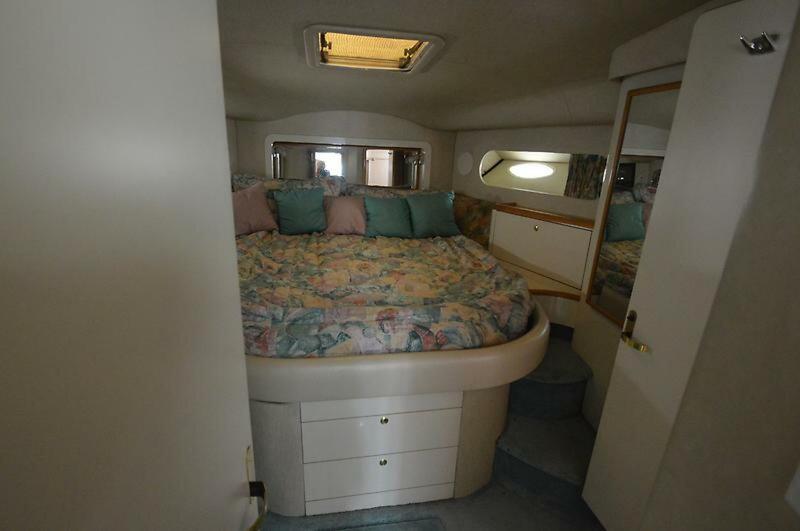 First guest quarters is to port with a pair of double berths, hanging locker, drawers, portlights, lighting, private head access, air conditioning and hard door privacy. 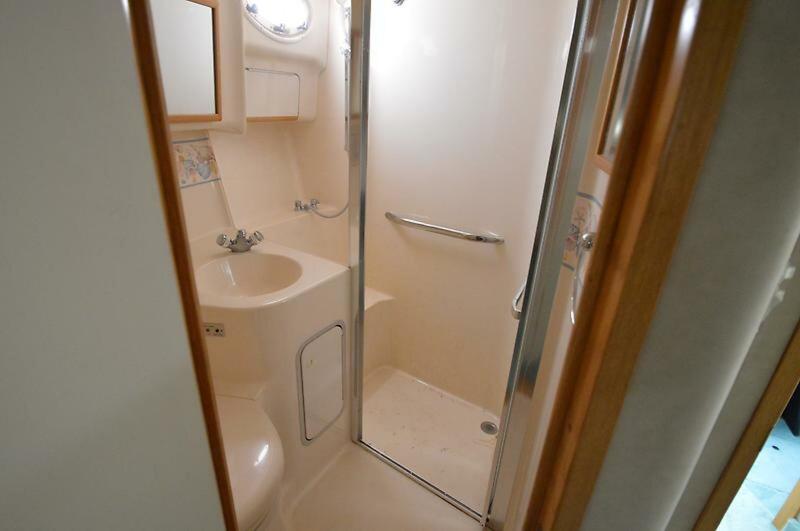 Second guest stateroom is to starboard with over and under berths, lighting, hanging locker, drawers, portlight, air conditioning and hard door privacy. 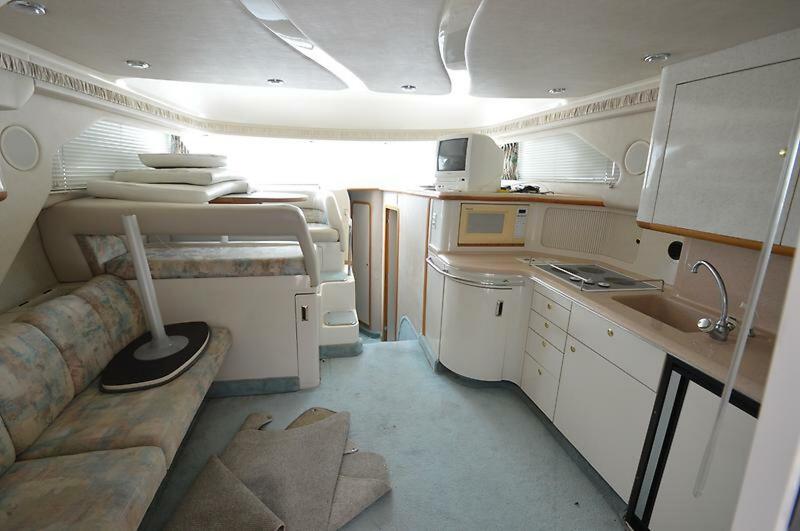 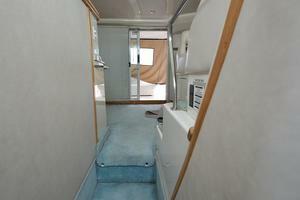 Up two steps to salon level with large, fully concealed galley to starboard, breakfast bar and storage. 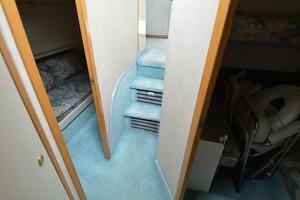 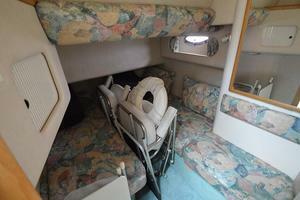 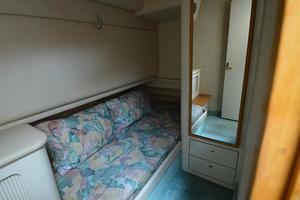 Opposite is large booth dinette with sofa comfort benches then full length sofa with table. While every effort was made to include all pertinent included equipment aboard "ALLONS-Y", there are some personal items aboard. 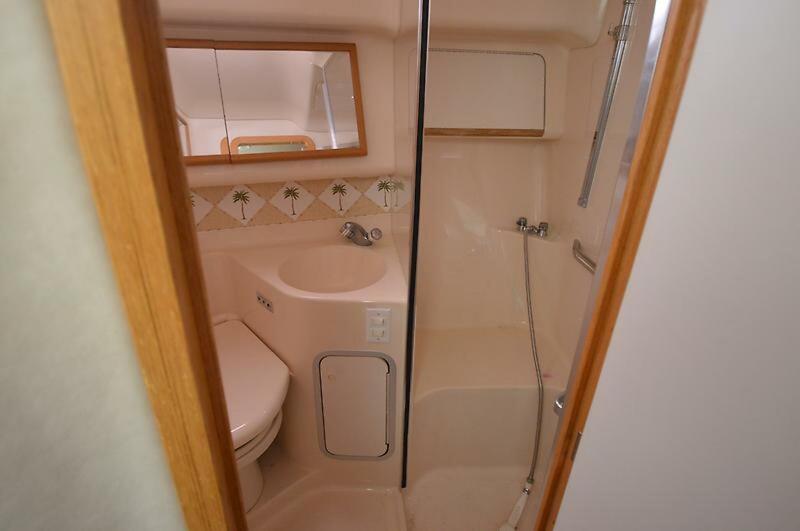 Prospective purchasers should assume any item not specifically mentioned herein would not convey at closing. Refer specific items in question to the listing broker.